While listening to Joni Eareckson Tada sing “Alone, Yet not Alone,” I learned that she has very limited lung use due to her paraplegia. In order to hit the high notes, her husband Ken has to push on her diaphragm to increase her lung capacity. It’s a beautiful picture of how Jesus helps us in our weakness. 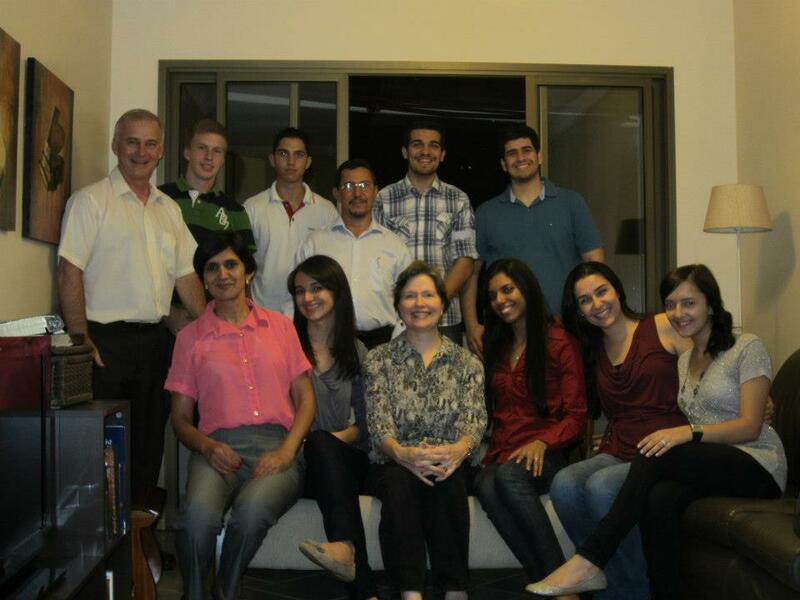 We are thrilled to be a part of the church planting team that God is forming here in Brasília. But we sometimes look around at the group (most of whom are introverts) and wonder what the Lord has in mind. It certainly isn’t the group we would have chosen, which I think is the point. Because of our inadequacy, He will receive all the glory when the Aguas Claras church is born. I am so thankful for the people of Brazil. God has used the people of this country to touch my life in many ways. I was given the gift to visit there on a mission trip and stay in the homes there. While I was there (and could not speak the language). God used this situation to close my mouth and cause me to listen and see. My son later became friends in St. Louis with seminary students and their wives, very unlikely pairing of friends. He was invited to visit Brazil and stayed at the seminary with them. On his flight home, the plane was delayed in Brasilia and caused a day delay. Of course he was very upset at the time, but was given a gift to meet wonderful people there and visit the city. He was impressed with the acceptance and friendships he formed in the very short time there. Keeping Brazil and your ministry in my prayers.